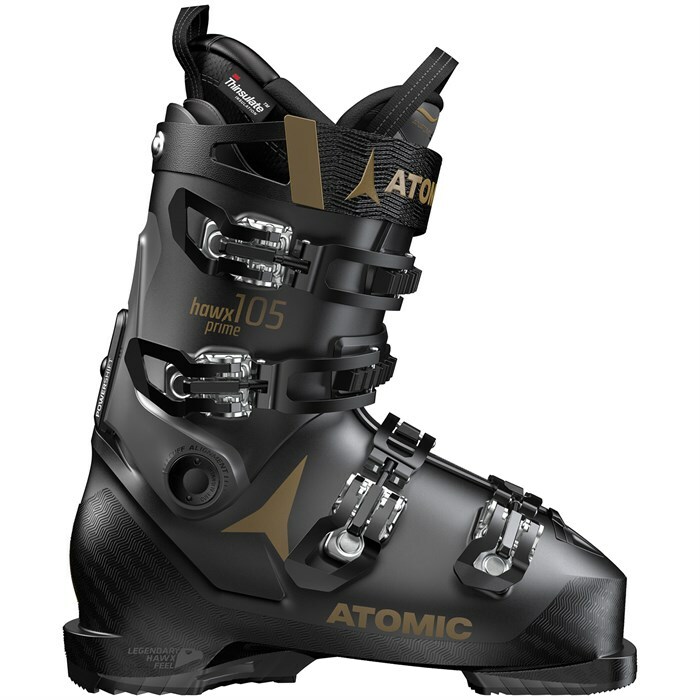 A high performance women's boot that isn't a crushing race-stock last and can actually be skied in all day long, the Atomic Hawx Prime 105 S W Ski Boots combine precise control and superior comfort in a stiff, heat customizable package that will totally alter your view of expert level boots. The Hawx Prime last is remarkably comfortable out of the box for most medium volume feet: for those with additional issues like extra width, bunions, or tall insteps Atomic s Memory Fit process can work miracles in less than half an hour. The 105 S is the stiffest boot in Atomic s Hawx Women's Series and suitable for all-mountain expert skiers. Last: 100 mm  Designed for average width feet with average and slightly taller insteps. 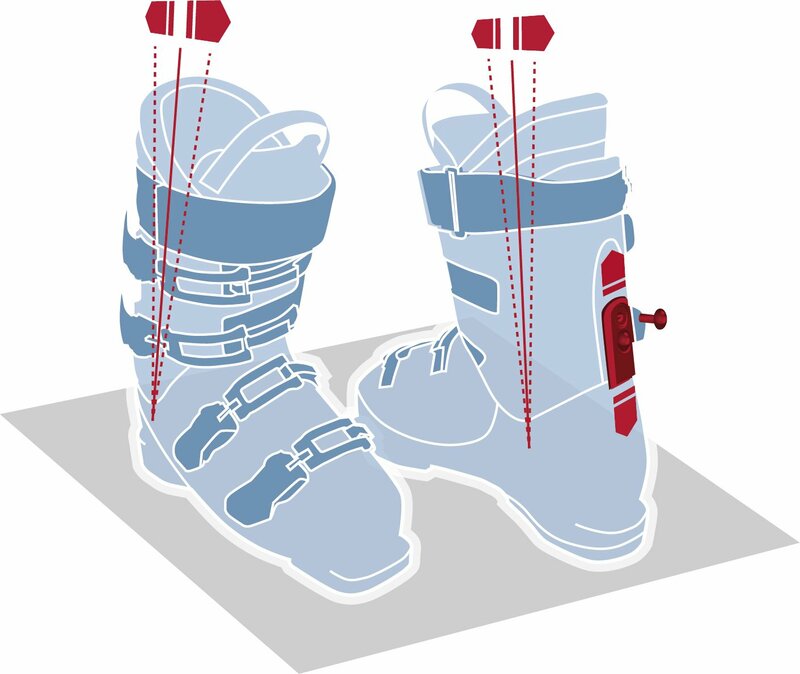 Adaptive Fit Cuff System  These boots come with a special spoiler in the back of the cuff. If you want a classic, cozy fit around the calf you can just leave the spoiler in. If you want more volume you can take the spoiler out. This makes the boot cuff slightly lower at the back, more tuliped and more open (equivalent to one cuff size larger). It's quick, easy and you don't need tools. Women's Specific Cuff Height + Shape  Specifically designed for female skiers, this cuff features wider, more fluted calf areas and a shorter cuff height for a secure, comfortable fit. Flex: 105  A stiff flex designed for expert level women skiers who charge hard in a variety of conditions. Memory Fit 3D Gold W Liner  Features Asymmetric Liner Construction with an asym tongue, toe box, collar shape and high-quality lining materials. 3M™ Thinsulate™ Insulation  Keeps feet warm and responsive even in extremely cold and damp conditions. Prolite  Instead of starting with a standard construction and cutting material away to save weight, Prolite does the opposite. It starts with the slimmest possible profile and then builds up reinforcements in key areas where strength is needed - like the Energy Backbone down each boot spine. Power Shift  Forward lean can be quickly adjusted to 13°, 15° or 17° as well as the flex index by +/- 10 flex points.